The Seven Years War, 1756-63, which often been fairly described as “The First World War” since it was fought on a global basis, saw much naval action in the West Indies because of the value of the “sugar islands” held by Britain, France and Spain there. 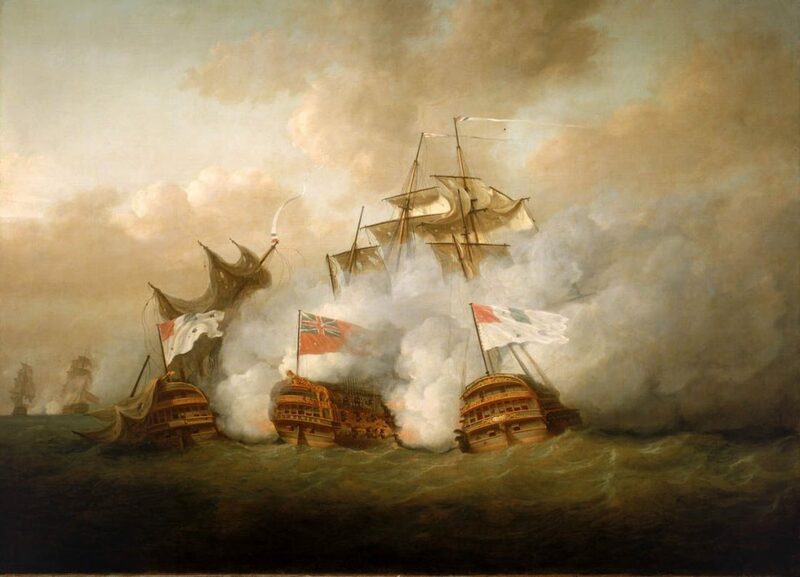 One of the most spectacular encounters involved the 60-gun third-rate HMS Buckingham in 1758. 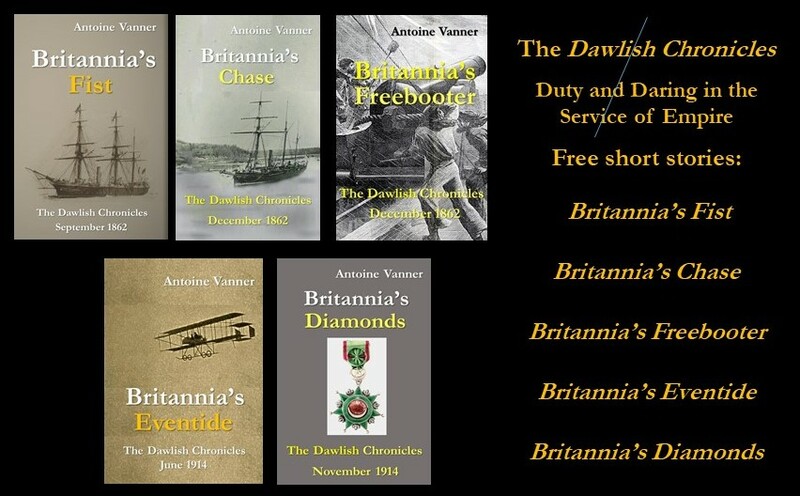 It was notable for the aggressive spirit of Royal Navy officers and crews, throughout the Age of Fighting Sail, when faced with unfavourable odds. Commanded by Captain Richard Tyrell (1716–1766), an experienced officer who had already sent much of his career in the area, HMS Buckingham, of 65 guns, had been detached from the Leeward Island Squadron in late 1758 for an independent cruise. Such a cruise would later be classified as “commerce raiding”, as the main objective was to hit enemy merchant shipping. Responsibility for a cruise was to be welcomed, in view of the prize money that might accrue. 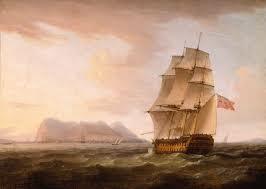 HMS Buckingham was accompanied by a 16-gun sloop, HMS Weazle, commanded by a Captain Boles. The area allocated to them lay between the British-held island of Montserrat and the French-held island of Guadaloupe. On November 3rd. HMS Buckingham sighted a convoy of nineteen ships, escorted by a French “74” – the equivalent of British Third-Rate, a type later to be standard in the Royal Navy – and two large frigates. Captain Tyrrell immediately signalled to HMS Weazle to join him in a chase. The Weazle was the first to close with the French 74, later identified as the Florissant. It was an act that may be considered either foolhardy or heroic due to the disparity in size and was rewarded with a broadside. This did little damage and she sheered off. From HMS Buckingham, Captain Tyrrell ordered the Weazle to stay clear of further action. HMS Buckingham’s casualties were remarkable small – seven killed and thirty-one wounded – a fact that confirms the impression that French fire had been concentrated on sails and rigging. Florissant’s losses were apparently higher, though there is no confirmation, but she was in a sinking condition by the time she reached Martinique. This reflects the Royal Navy preference for making hulls their preferred targets. 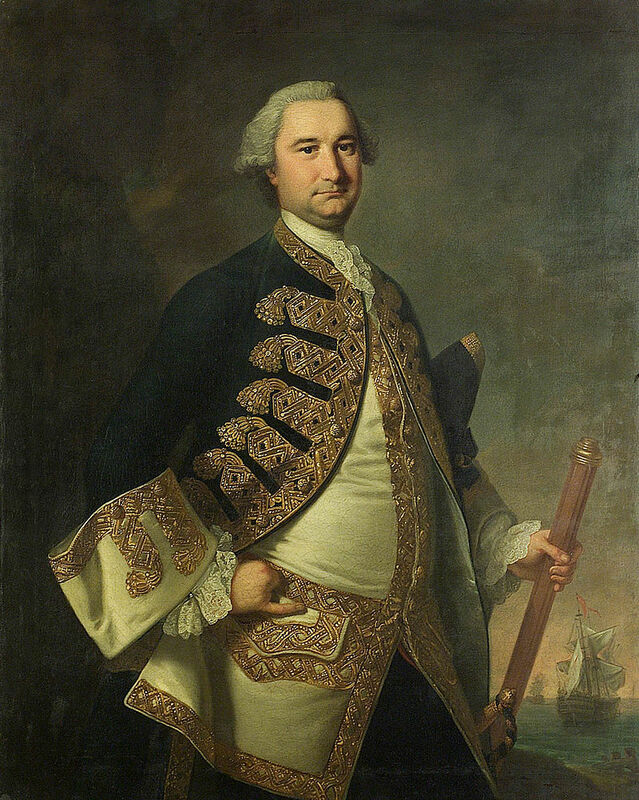 Richard Tyrell, by now a Rear Admiral, became commander-in-chief of the Leeward Islands Station after the war but resigned in 1766, perhaps due to bad health. He died of a fever – the illness that killed to may in the West Indies – and, by his own request was buried at sea. He is remembered by a quite spectacular marble memorial in Westminster Abbey, London. 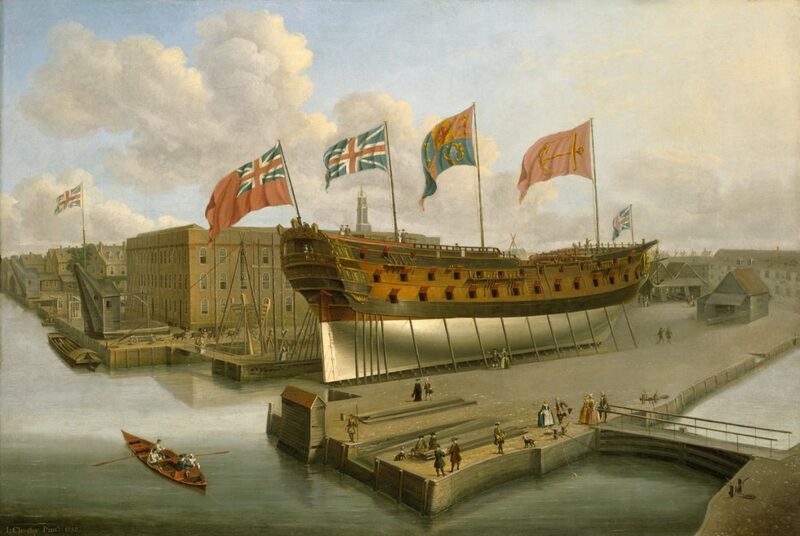 HMS Buckingham remained in service into the middle years of the American War of Independence. By then she was in a bad state and leaking badly. She was lost in the Atlantic in 1779. Her small consort, HMS Weazle, was still in service that same year, in which, however she was captured by the French. Built in 1745, this small vessel had proved a good investment for the Royal Navy as she captured a total of eleven enemy vessels in her lifetime.